A Fitbit tracking device led police to a 90-year-old man who killed his step-daughter.in San Jose. A 90-year-old San Jose man was arrested Tuesday on suspicion of killing his 67-year-old stepdaughter on Sept. 13, police reported. Officers went to check on the welfare of a woman who reportedly had visible injuries and was unresponsive in the 1000 block of Terra Noble Way. They arrived at 5:17 p.m. and pronounced Karen Navarra dead at the scene. Navarra was found slumped over her kitchen table with wounds to her neck and a kitchen knife in her hand. Police said it appeared to be a staged suicide. Anthony Aiello was identified as the suspect, according to police, who arrested him on Tuesday in San Jose. He was booked into the county jail without bail on suspicion of murder. "She had to know who it was because she was a very private person," said neighbor Jarod Middleton. 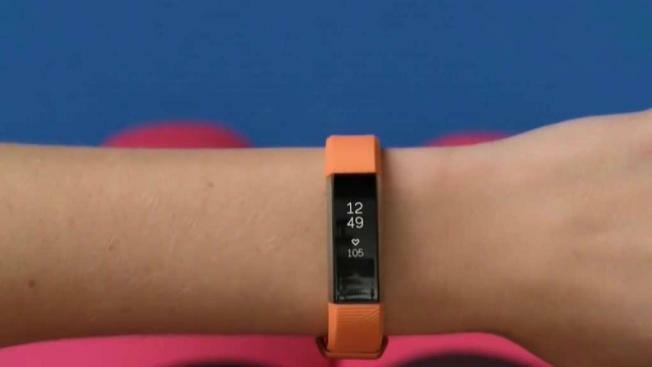 Investigators looked at the victim's Fitbit device and found her heart rate had spiked on the afternoon of her death before stopping all together. Surveillance camera footage showed Aiello at her house at the time of that spike. Anyone with information about the homicide is asked to call Sgt. Mike Montonye or Detective Brian Meeker at (408) 277-5283.